Avant Garde Roofing Solutions have been certified and accredited by the organisations below, this supports the quality and workmanship of our flat roofing solutions. 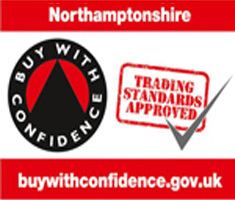 Trading Standards Services and the Buy With Confidence Scheme. scheme we have undergone a series of detailed checks before being approved as a member of the scheme. Avant Garde Roofing Solutions have joined up with TrustMark, this is a quality mark which operates a framework under which 30 plus scheme operators in the RMI (repair, maintenance and improvement) sector. This includes trade associations, local government trading standards teams, and independent scheme operators. 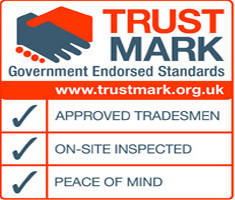 We are proud to be apart of the TrustMark scheme because only reputable and trustworthy tradesmen are approved. 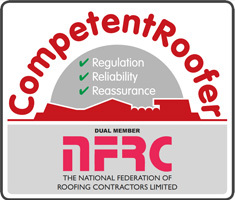 CompetentRoofer is the Government-authorised scheme for England and Wales that allows professional roofing contractors to self-certify that their roofing refurbishment work complies with Building Regulations. Now Avant Garde Roofing has to ability to self-certify it means the customer does not have to pay to certifications costs. The scheme encompasses all roofing types for domestic, industrial and commercial flat roof properties and is open to all roofing contractors to apply.